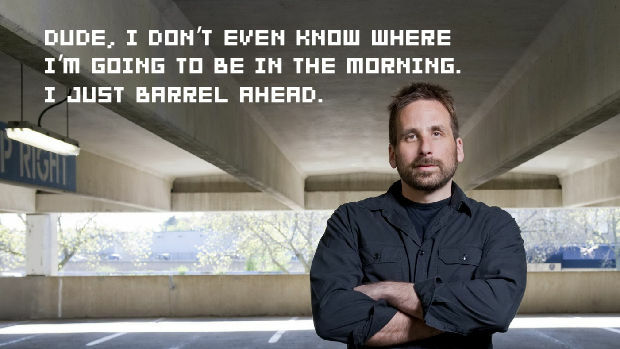 There are a handful of game designers I admire but none of them are as handsome as Ken Levine. It just doesn’t seem fair, does it? Until my interview, I always looked on at him with a layer of skepticism. Surely, he doesn’t really come up with these detailed, imaginative worlds. Surely, he doesn’t obsess about games like the rest of us. But then he talked about Culdcept Saga and card games for five minutes. Levine is a visionary, a geek, and a culture junkie. You could dismiss the last as having no relevance to his profession but you’d be wrong. Levine has a life beyond games and yet that life informs everything he does within games. It’s what makes his work unique, personal, and spiritual. It’s also what makes Levine a riveting interview subject. 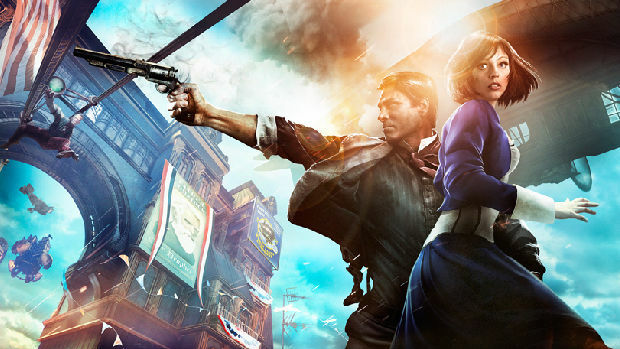 I sat down with Levine to discuss BioShock Infinite’s themes, influences, the silly reception to its recently released box art, and what’s going on with the Wii U (if anything). Ken Levine: BioShock is game about putting you in an amazing world that couldn’t exist in any other form of media because you get to explore and interact with it, with an AI we believe does things that haven’t been done before. Ideally, you will build a relationship with her, within this context of giant explosions, vigors, skyline, and all that great stuff. Yeah, that’s a pretty long-winded answer to that question. We try to make the elevator pitch on the box because that’s all you have but to the Destructoid audience that pitch won’t likely resonate so I give that long winded one. There’s a lot of stuff in the game that I can see being misconstrued by the media and public. There are a lot of bold choices. Did these make things difficult when it came to promoting the game? Let’s be honest: in BioShock 1, infanticide was a theme in the game. That was very, very dark but also very -- can you imagine BioShock without the little sisters? It’s necessary to the story, but we didn’t go beyond. The sequence of harvesting a little sister was done with just enough information so that you know what is happening, but we didn’t glorify it with gore or anything. It is only used for telling this story. We struggled for a long time trying to figure out what the exact right approach for that was. In this game, it’s the exact same thing. There is a story we have to tell and I don’t think games should be different than any other media, in the sense that, “Why are we limited to certain topics?” As a storyteller, I feel a responsibility to treat topics that are painful to people thoughtfully and tell a story that isn’t exploitative of those topics, but I don’t think we should feel restricted because we make games. It’s an M-rated game and people who buy the game should have their intelligence respected, just like any other media. 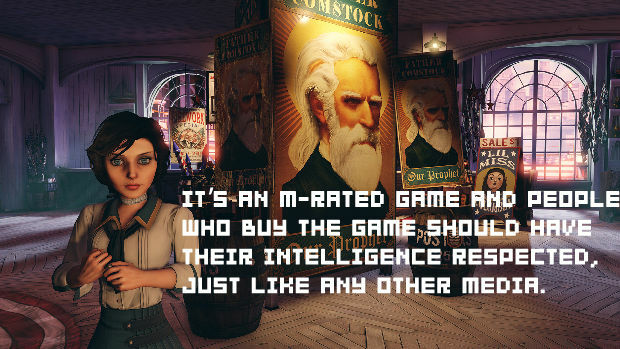 You recently released the box cover of the game and some BioShock fans felt strongly against it, even though it may or may not be indicative of the game. How did you take the reaction? There was no new information available because we felt we had shown the game at E3 and didn’t have anything new to let loose. We could have gone into a bunch of stories of “Well, here are the new type of gear you can have,” but we felt that would be much better after people have played the game and journalists had some context. We had a lot of people questioning, “Oh, what’s going on? Is it falling apart?” Is it a disaster?” because they didn’t have any other news. I knew that was going to happen and it was more painful for the team than it was for me, because I’ve been through enough of these. But, that’s just part of life. There is a whole part of being a game fan that involves speculating about games, not just playing them. I love to think about games ahead of time and imagine what they are going to be like and worry about them. I get it, but I knew the only thing to do was to hand those people the controller and say: “You tell me how it is. Why should you believe me?” That’s why I’m so happy to now give the controllers to people. It’s not that we want to. We HAVE to. With that intention, I have to wonder: with an intro so long and with very little shooting dudes in the face, how do you approach that? What I won’t do is compromise the product. People say the cover seem to be – there is an article that says “Look it’s important because it must say something about the game. The game is dumbed down!” [Kotaku] I’ll count on you guys to report on the validity of that. It’s a fairly calculated marketing decision that is based on making these games continue to get made. I can understand the reception from fans. I’ve been thinking a lot about this. You always want to please everybody. The price that I think I’m asking those people to pay is that that the cover that you pick up off the shelf may not be your favorite cover in the universe, but hopefully that cover will help make this game successful, so we can keep making more of them and not compromise in anyway; right now, no one asks us to compromise. They are like “Yep, big complicated directed sequence with no Taliban shooting you in the head. Yup go make that game” and Take-Two has done that so far. There are two things we want to do with the fans. We are definitely doing one of them. We want to communicate with the community and generate a whole pile of alternate covers for the game that we can put on the website so people can print out. And key art, traditional concept art and weird doodles and sketches. You know, so we can really get them arranged. There is another thing I’d like to do but I’m not sure we can for production reasons, so I guess I won’t talk about it yet. But, in the very least, we’ll do that. I found a lot of pop culture references in the game, from film to music such as an acapella group singing The Beach Boy’s “God Only Knows.” Are these connections intentional? Part of the BioShock guidebook -- there is no guidebook but in my head -- there are no references to pop culture that are outside what the experience is presenting. That song that people are hearing in the world is an anachronism. It’s not that we didn’t just know the date. It’s part of the story and generally we are highly influenced by pop culture. I’m sure there are many moments where you’ll see the influence that films and other games have on us, but we don’t shout out to them in a way that would take you out of the experience. So many scenes in the beginning are so detailed and have a specific vision. How much of that is you, the writers, and art team? 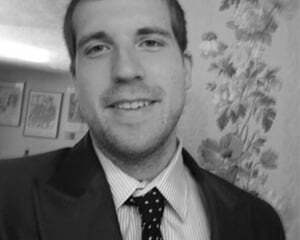 I’m the creative director and lead writer on the project. I came up with an idea and go, “Hey, I would like this.” What happens at the beginning: there is a specific notion – avoiding spoilers here – I described to the artists. It’s one thing to describe it to an artist, but it’s another thing for a level artist like Mike Snight to build that and for the optimizers to make it run properly on all the platforms because it’s a complex scene full of things that engines don’t like to do. Then there’s the guys that do the character models, the people that lit the space, and our music director that lead the recording. Yeah, that initial portion comes from me but I’m just a small part in a large team that makes it work. I’ve never seen so much original art in the first hour of a game before. How large is your art team and how do you all work? The team, compared to other modern big games, is relatively small. It is led by a group of guys that have worked together for a very long period of time. I worked with our animation director Shawn Robertson and our art director Scott Sinclair since the Looking Glass days. I met them both in probably 1996, maybe. That’s a long time to know each other, so we know each other's cues really well. Then we have new guys like Mike Snight that came on board. I don’t know how old he was in 1996 but probably not too old. We hired a little kid but he understood the aesthetic we were trying to do and very quickly became a part of that group. People oversee that process like Jamie McNulty, who was part of BioShock 1, Stephen Alexander who makes the narrative sequences happen. It takes a lot of people but it’s pretty small compared to something like Assassin’s Creed or something like that. The biggest change to combat is the mobility you get from the skylines that you can latch onto. Was a greater sense of speed and mobility a goal from the start? We made the decision to put the game in the sky and there are a lot of reasons we did that. I thought it would play off that vertical element -- Bioshock 1 didn’t ever play off the water element in a gameplay way. We used puddles of water but you don’t need to be under the ocean to have puddles of water. It was really just a thematic setting and visual. We really wanted to play off the verticality of its space but we struggled with that, like what would that be? Jetpacks, para-sailing, flying – none of that stuff worked because it had all been done before and it wasn’t unique to Columbia. So, we struggled with it for a long time. I have always been a fan of roller coasters and I always found the theme of them, being controlled and not controlled -- why do people scream on a rollercoaster? The odds of you actually being hurt is so infinitesimally small that any rational thinking of it would mean you just sit there and be unmoved by it but there is a thrill that is indescribable. I thought, what if we got into these fights on these roller coasters that can you detach from and reattach to. It’s something that is very easy for me to pitch and describe, but people actually have to go and make that work. Make that feel right and run smoothly and figure out all those crazy edge cases. We spent so much time figuring out if you can dismount from it and how you land in the world. What If you land some place but we don’t want you to be there yet? It took us a million conversations to get it right, but hopefully we solved all those problems. 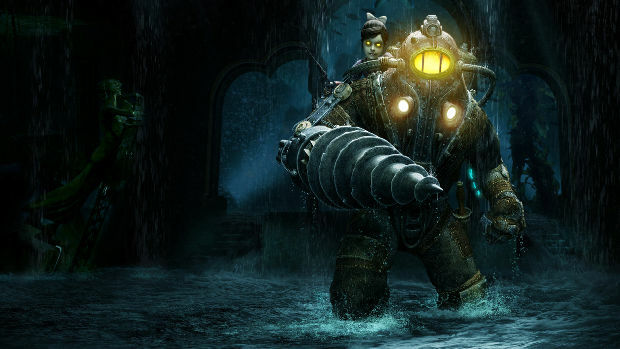 BioShock changed the way a lot of players play games, as it demanded players to pay attention to the audio and environment for story details. Infinite seems to take this even further, expecting players to pay attention to what’s going on around them. That seems like a lot to ask of players. I think people underestimate gamers of all stripes. Like it or not Inception is a film that is not about a bunch of meatheads punching people and it was hugely, broadly popular. The Dark Knight is not just the lowest common denominator superhero story. It was about a man that believed in order and a man that believed in chaos and the struggle between them. It was a thoughtful film and it was also a blockbuster. I don’t believe the two aren’t compatible. 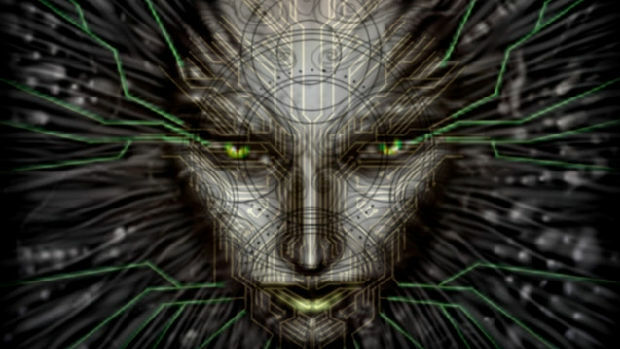 The Matrix is also a film that is not just about people shooting each other. It’s quite an existential piece and an interesting science-fiction piece that had amazing visuals that drew in a mass audience and kept their minds engaged, as well. I don’t believe the two aren’t compatible. I think a lot of the public does and probably the publishing community. 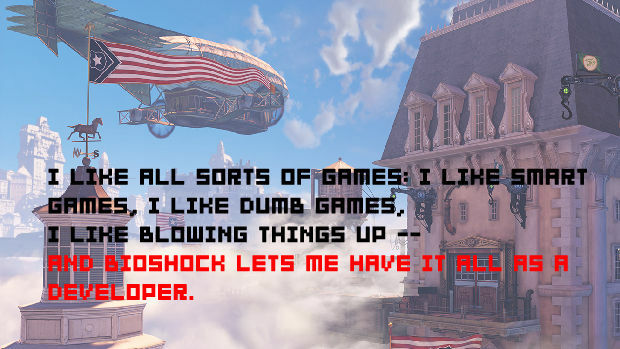 I like all sorts of games: I like smart games, I like dumb games, I like blowing things up -- and BioShock lets me have it all as a developer. There are a lots of big explosions there but I also get to have my cake and eat it too. What’s going on with the Vita and Move? The Move: We have it and will have it at an event at some point. How do I talk about the Move version? Once it’s ready, I hand it over and say, “Here’s the Move version. Go play it!” It’s ready. we just need to plan a place for an event where It can be there. As for the Vita, the honest answer is that we still have the same idea and we still really like it, but it’s in the hands of the business people so Take-Two and Sony are discussing that. I’m happy to do it and hopefully they’ll find a way to let me do it. Any news on the Wii U front? We never had any news on the Wii U. I bought one and I like it. I play games on it! But in terms of development, nothing is brewing right now. What happened with the multiplayer that you recently announced was cancelled? I’m uncomfortable with saying, “it’s cancelled.” You have to first announce things before they can be cancelled. There are a million things with that game that I loved but left on the cutting room floor. You’ll see the art book and think, “Oh my god! I can’t believe how much was left on the cutting room floor!” The experiments we did with multiplayer is just one of those things that wasn’t what we thought it could be. With the time period we had, we decided to focus our resources elsewhere. Right now, is this where you thought you’d be back in the Looking Glass days? Dude, I don’t even know where I’m going to be in the morning. I just barrel ahead. If I thought about how much writing this game is going to be and how much work it's going to be, I never would have made it. If I knew about building a company for ten years only to then sell it, I don’t think I would have done it. There is always more work than you think there is going to be and things are always harder than you think they are going to be. I don’t know what's going to happen but I just sort of work instinctually.